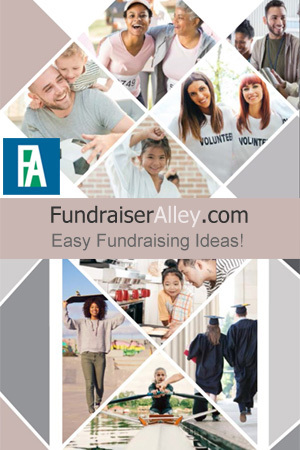 Fundraiser Alley offers easy fundraising ideas for schools, teams, groups, clubs and more, including cookie dough, katydids candy, scratchcards, order-taker brochures, candy bar kits, lollipops, smencils, tumblers, custom spirit fundraisers, and more. Our mission is to help you find the perfect product for a successful fundraising event. Crazy About Cookies Edible Dough Order-Taker – Features 6 flavors of yummy edible cookie dough. 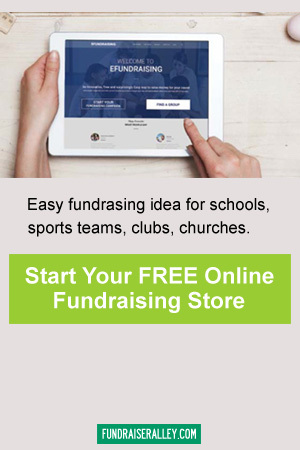 New and unique idea for fundraising! Baseball Lollipops – These cool baseball shaped lollipops are a fun idea for any baseball team to sell at games or school. Melody Munch Order-Taker Fundraiser – Voted favorite fundraising brochure for high schools. Includes Class of 2019 tumblers, Band and Music tumblers, plus a wide variety of snacks and nuts. Smencils – “Scented Pencils” with collectible toppers are a novelty that students love in any season! The Ultimate Coffee Collection – NEW for Spring fundraising! Includes yummy flavored coffee in bags or pods. All items $15. 1. Katydids Candy – This yummy candy is the most popular product we have. Available in tins or boxes, plus as an order taker if you prefer. Who can resist this chocolate covered caramel and pecans candy? 2. Cookie Dough – An all time favorite for schools! Choose from an assortment of colorful order-taker brochures featuring tubs or preportioned, or both. 3. Gourmet Lollipops – A sweet choice for any size group, club, or team. Lollipops are available in an assortment of types, including holiday and sports themes. All earn a 50% profit. 4. Beef Jerky – A healthy fundraiser choice. Beef Jerky sticks are available in a handy carrier kit, plus other assorted products and flavors. 5. Pretzel Rods – A Sweet & Salty treat, these are a big seller. A great choice for selling at sports games and concession stands. Scratch Cards – The highest profit fundraising product at 80% profit. Plus, with the 10% free cards, you can earn 90% profit. This is a quick and easy way to earn funds. Custom Eye Black – Everyone loves eye black to wear at the game, so sales will be great. Customize with your team name or logo. These earn a 60% profit! Logo T-Shirts – Sell at school or sports games. Fans will love a shirt with school team logo. Custom Tumblers – Sell at concession stand during sports games. Stainless steel tumblers include engraved logo and team name. Several options. 45% to 50% profit. Welcome to our website! We are here to offer you a variety of fundraising products, picked especially to give you a successful fundraising campaign. Browse our site to find the product that suits your needs best. We also have a number of articles featuring fundraising tips and ideas. You are welcome to call us (866-826-0944) for advice, questions, and support. Take care and have a great day!